HKS has developed CAPACITY UPGRADE KIT to have more horse power for R35 GT-R. This kit will provide more engine displacement for the customers who are not satisfied with the 800+ horse power. Because it’s the big turbine, we made it long stroke for the low RPM torque. Feel the absolute torque even for normal RPM range. This product was designed for high performance without a loss in power at all engine RPM range and with a well-balanced power curve. 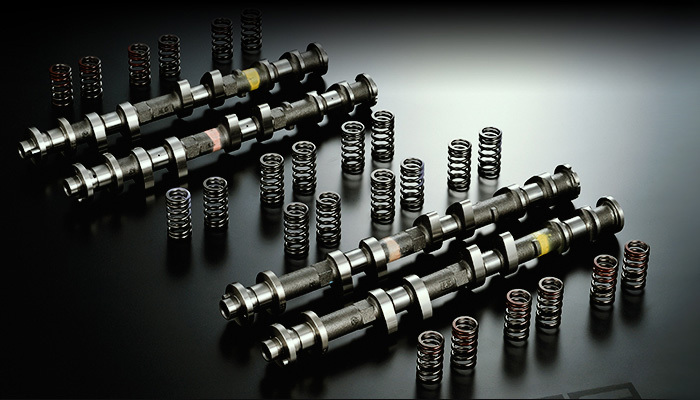 Using the Valve Spring specifically designed for the VR35DETT engine and this newly designed high lift camshaft can dramatically improve the performance. Furthermore, once this product is combined with the HKS STEP2 Engine and GT800 Full Turbine Kit, the boost pressure can be increased much more smoothly and quickly, and the engine output can exceed more than 850ps. 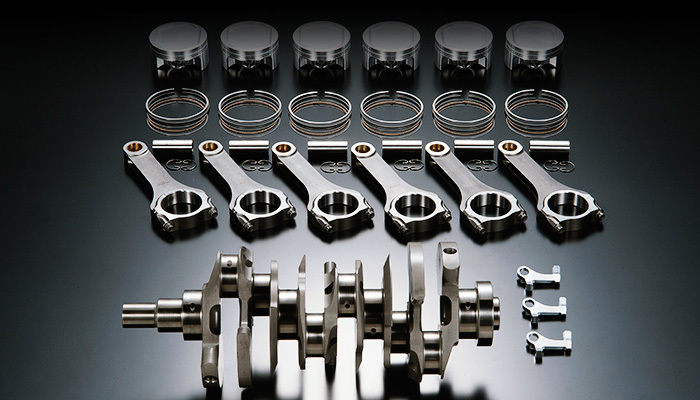 This high performance STEP2 package includes pistons and connecting rods designed for R35 GT-R with higher engine output. 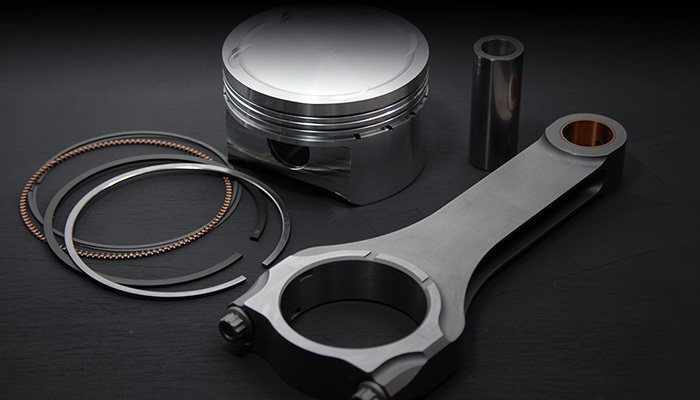 This Forged Piston Kit + Connecting Rod STEP2 Set is a must to upgrade the engine performance using with the GT800 Racing Specs and/or STEP2 Camshaft. HKS PISTON +CON' ROD SET for R35 GT-R was designed to use with the GT800 Full Turbine Kit. 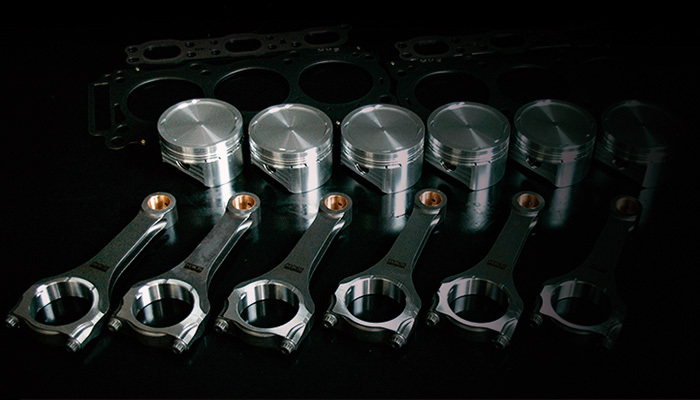 The size of the piston is 95.5mm, the pistons are factory replacement type so it can be installed to the plasma coated engine cylinder without modification. The compression ratio is set to 8.7. HKS CONNECTING ROD is the H-beam type and machined from Aluminum. No balance adjustment is necessary for installation since the weight was designed to be optimum. 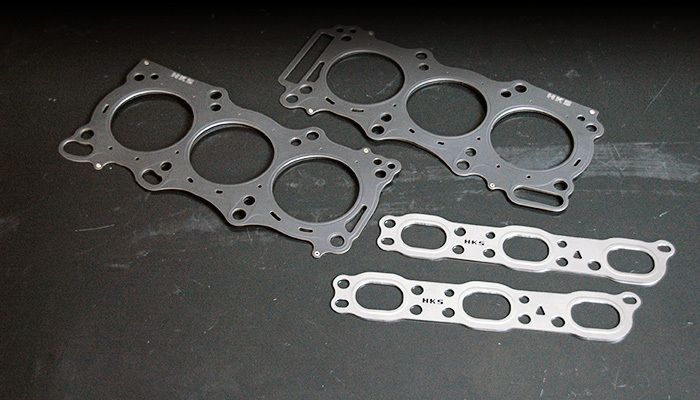 HKS METAL HEAD GASKET SET for R35 GT-R was designed to use with the GT800 Full Turbine Kit. This Gasket Kit is durable even used under high combustion pressure created by the 800ps engine output. The included gaskets are the bead stopper type. The thickness is set to 0.8mm. The upgraded exhaust manifold gasket is also included.